2019 Accio Books is Coming! The 2019 Accio Books campaign is just days away! This year, PDXpelliarmus will be collecting books for The Children’s Book Bank! The Children’s Book Bank mission is to fill children’s homes and lives with beautiful, engaging books. Through their Building Home Libraries program, they provide books to Head Start students throughout Portland. Every June, they host free book fairs in underserved K-8th grade schools to keep kids reading throughout the summer. Since becoming a 501c3 nonprofit in 2008, The Children’s Book Bank has organized over 10,000 community volunteers to channel over 650,000 books into the hands and homes of over 50,000 children in need in the Portland area. To help them turn young muggles into wizards, we will be collecting new and gently used children’s books, start at the Accio Books Kickoff Party on Thursday, April 4th, at The Nerd Out (3308 NE Belmont St) , from 6-10pm. There will be trivia, food and drink specials, and House Points will be awarded. The magical folks of The Nerd Out will also be donating $1 for each butterbeer sold! If you would like to donate more than a few books, please do not hesitate to contact us to arrange pick up and/or drop off! More Accio Books events will be announced soon, including the 4th annual Hogwarts Early Admission Program! Click to sign up for the PDX-HPA mailing list! Join us on Saturday, April 27th, at the Lloyd Center Barnes & Noble between 1-4pm for games and crafts! 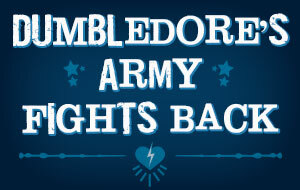 Bring a book and help turn muggles into wizards!